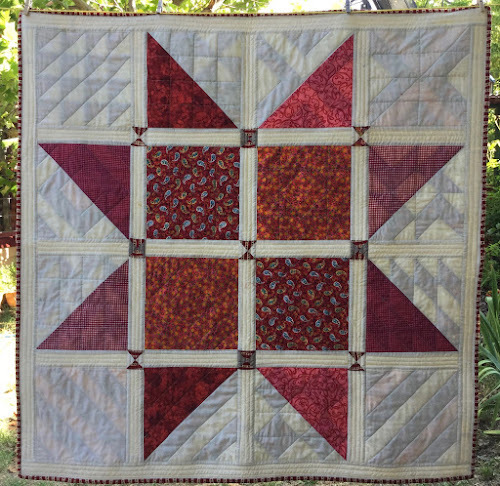 Quilt size: 48 1/2 inch square. 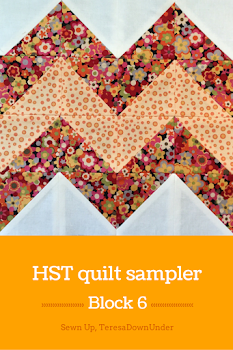 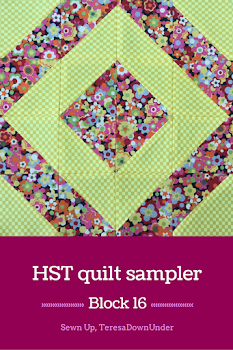 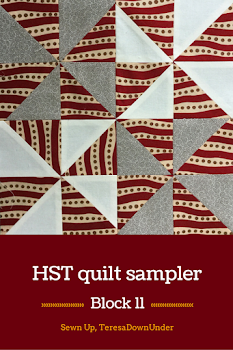 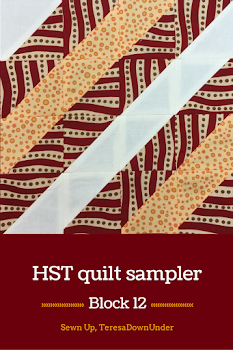 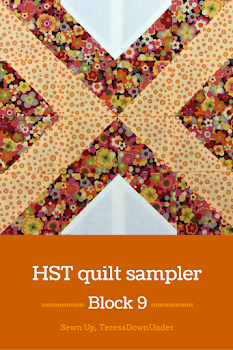 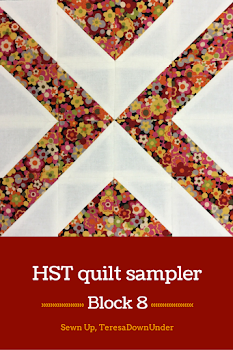 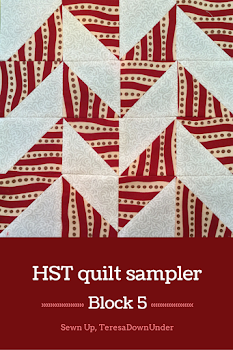 Each pair of 7 inch squares makes 8 HST. 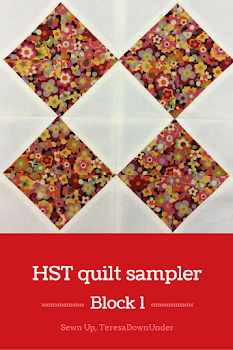 You will need at least four 7 inch squares for each block or more for blocks in 3 or 4 different fabrics. 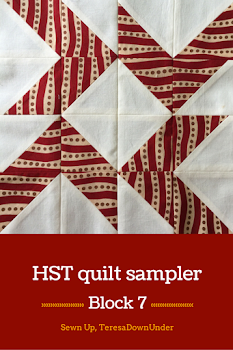 The left over HSTs will be used in the sashing. 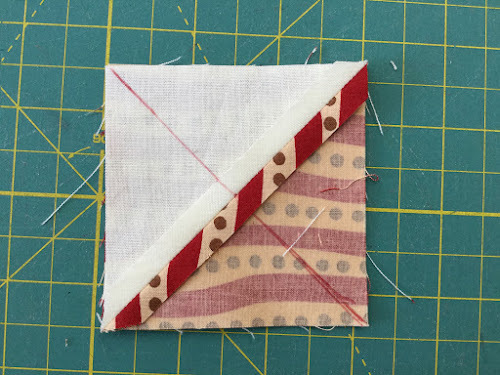 I give you the fabric needs for each block tutorial below. 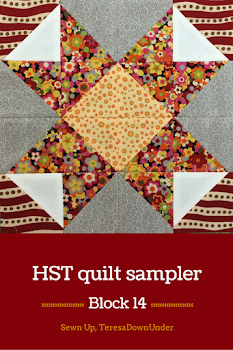 This quilt is fat quarter friendly. 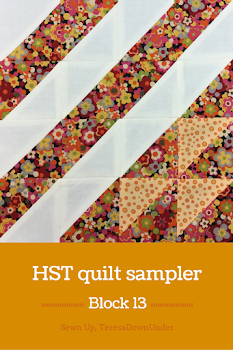 Once you make the 16 blocks, it’s time to quilt them individually before you put them together with quilt as you go. 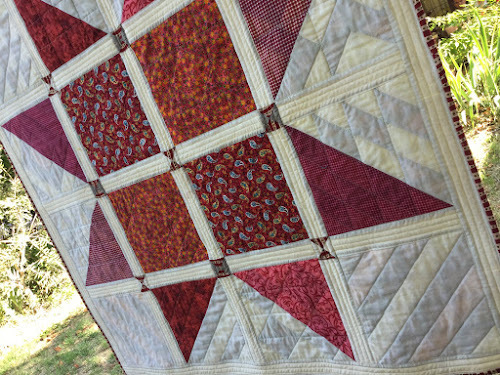 The long sashing strip for the back has hourglass little blocks in the intersections. 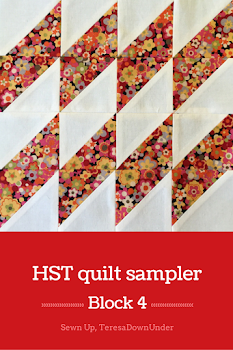 I used the left over HSTs from the blocks to make an hourglass block. 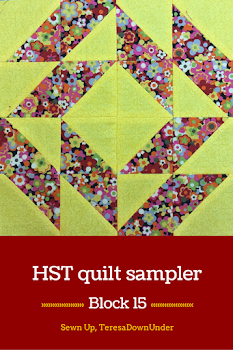 To make the hourglass block, take 2 HSTs. 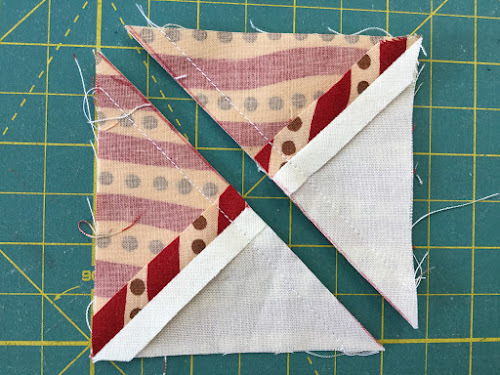 Trim the resulting block to 2 1/2 inch square. 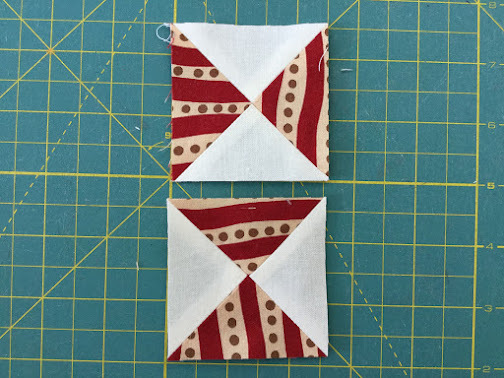 I made the star points using two 10 3/4 inch squares in white and red placed with right sides together and sewn in the diagonal. 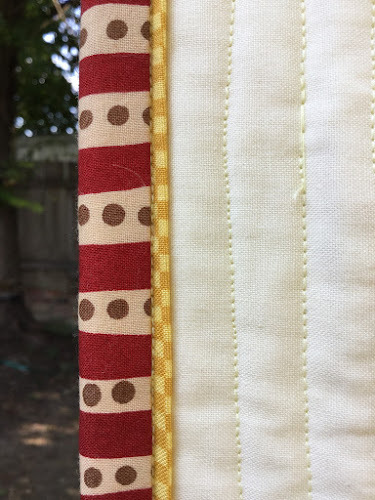 Look how pretty the binding is. 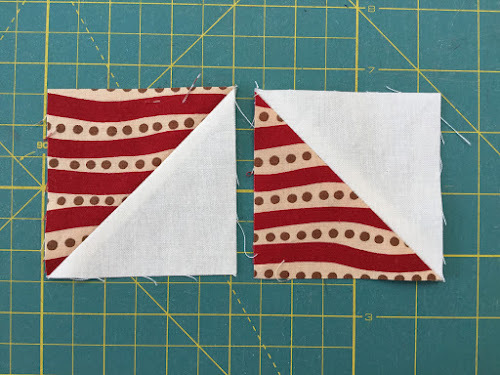 On the photo below, the top is the front and the bottom is the back. 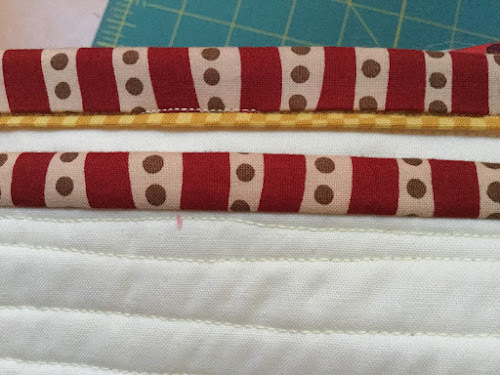 Making the binding this way is so fast… I don’t think I can go back to hand sewing the binding after this. 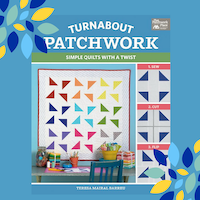 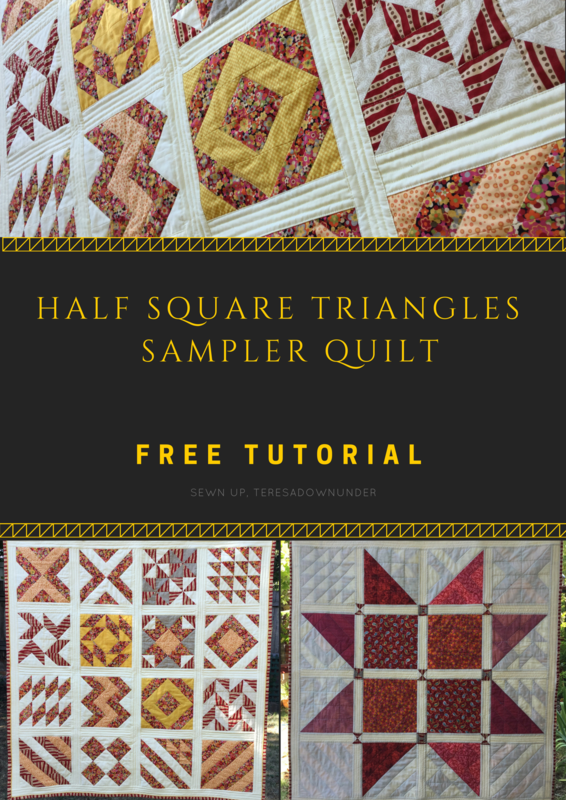 I have really enjoyed your videos and this quilt will be great, thanks for all your tips they have really opened my eyes to new ways to make squares. 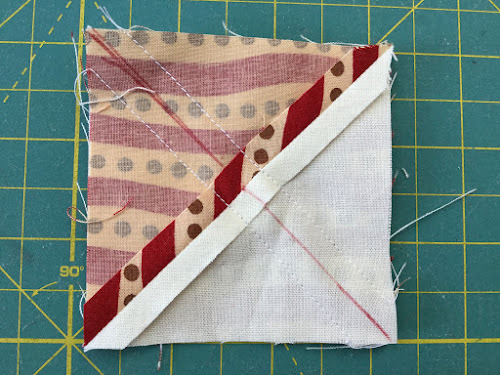 Please keep making your tutorials. 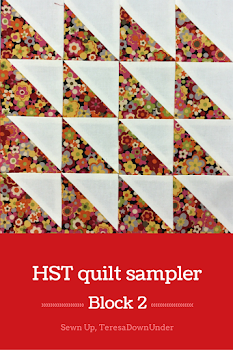 You should have enough with your favourite 5 or 6 fat quarters but plan to have a few more. 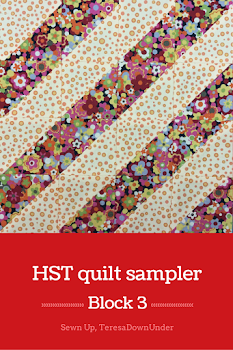 You need 32 x 7 inch squares of print fabric. 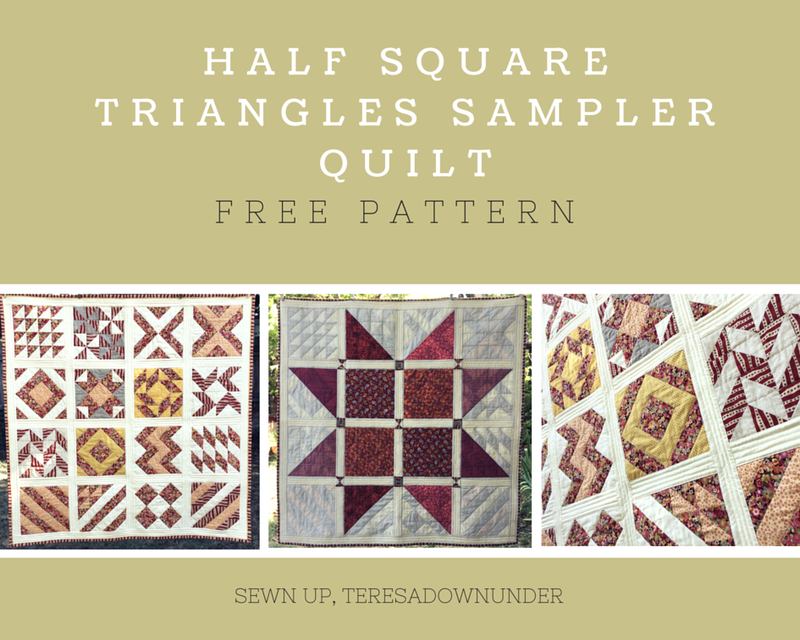 Plus 32 squares in the background colour. 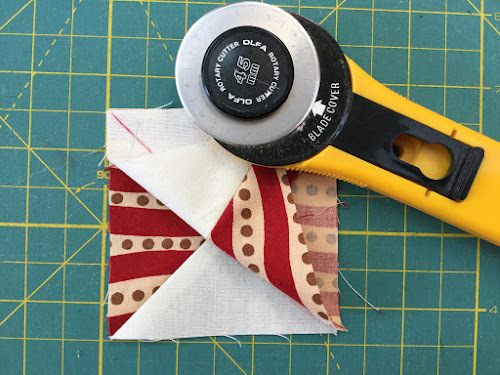 Looking forward to seeing what you make. 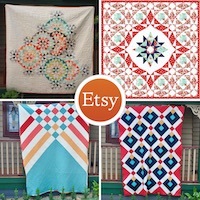 I really love all your patterns. 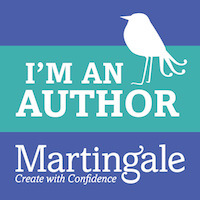 You make them so easy to understand. Thanks so much. 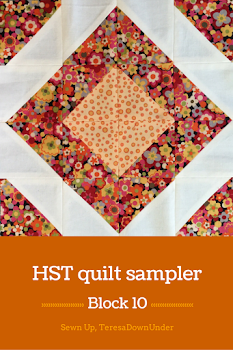 Will a layer cake be enough to make this quilt?